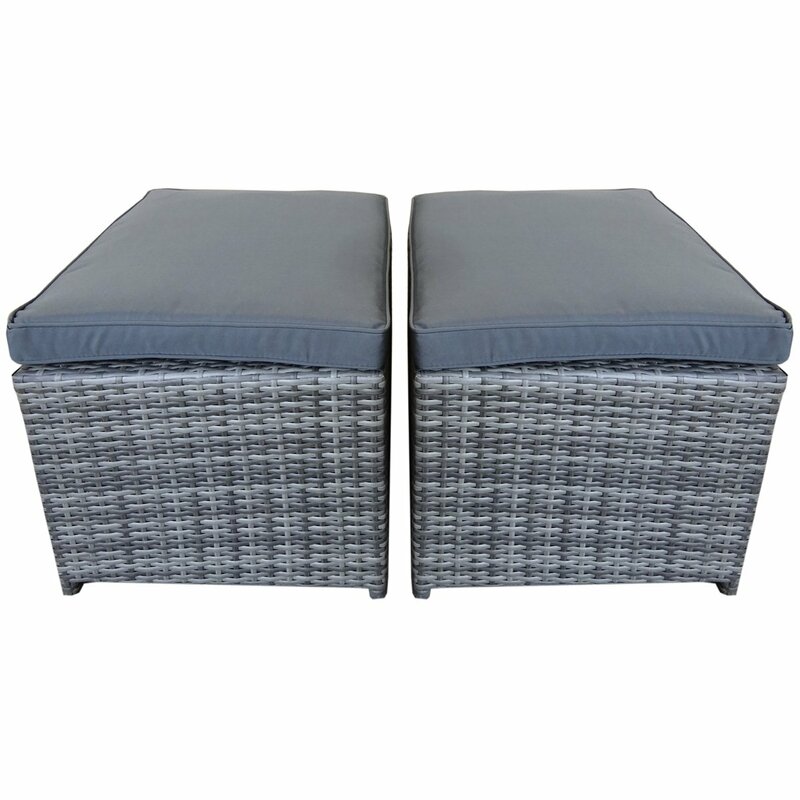 A perfect addition to any rattan garden furniture set, this pair of rattan footstools will provide a relaxing place to sit or put your feet up in the garden. With inspiration taken from popular Italian cities, these high quality footstools are part of our attractive Verona and Napoli garden furniture collections. Available in a choice of either grey or dark brown, these contemporary foot stools are finished with thick cream cushions, for added comfort. 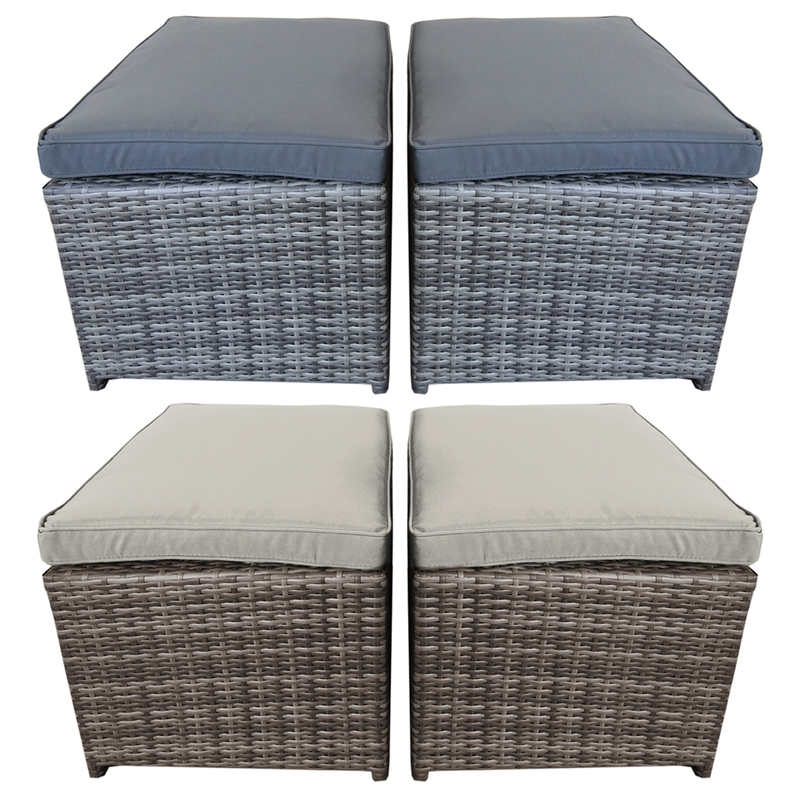 Constructed from a weatherproof variegated flat weave rattan, these versatile footstools can be left outside, all year round. 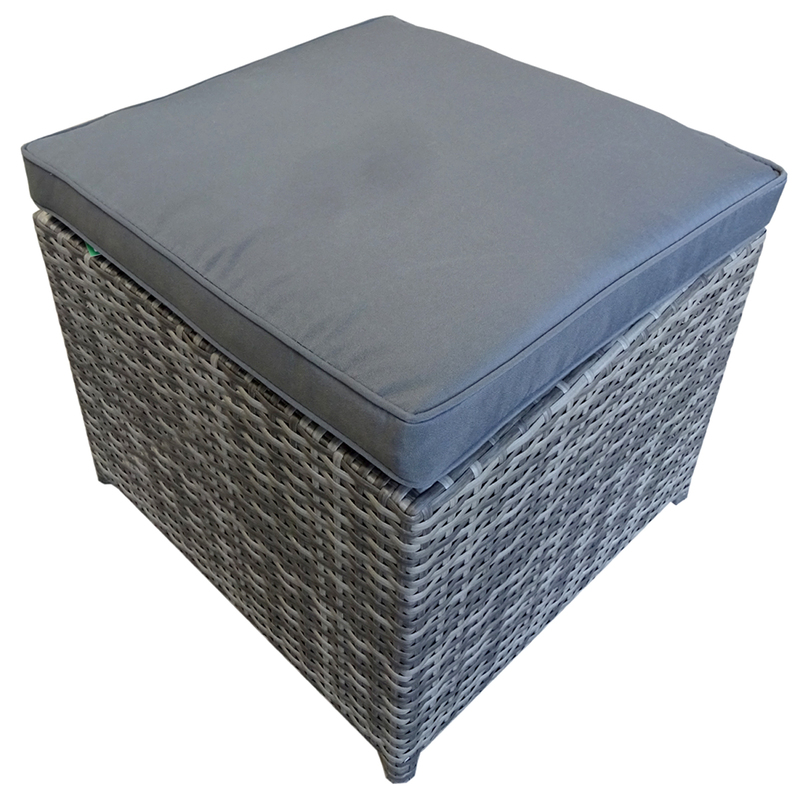 Fully assembled, these stylish footstools can also be used as extra seating and used straight away. Please Note: Matching outdoor furniture and accessories are available. The Grey set is part of our Napoli range and the brown is part of our Verona range. Wipe with a soft cloth and mild soapy water and dry thoroughly. When not in use, bring cushions inside.